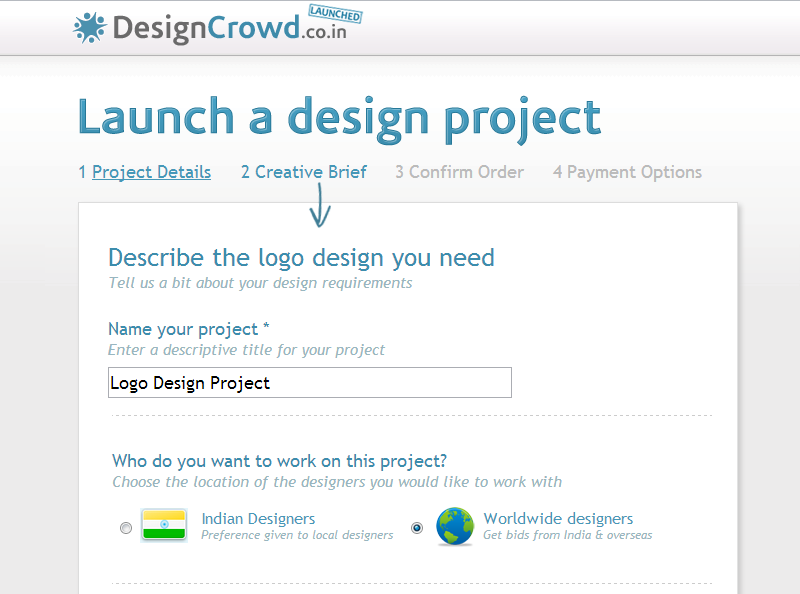 DesignCrowd, the Australia-headquartered crowdsourcing service for designers, has kicked into the next gear of its international expansion after it entered Asia via launches in India, Singapore and the Philippines. In a nutshell, the site — which began as DesignBay before buying and merging with US-based DesignCrowd– is a virtual marketplace which connects designers with companies of all sizes that want to outsource design projects. Companies simply post details of their requirement — including deadline, description and payment fee — and interested designers from the 90,000 registered on the site will get in touch with their own design, with the aim of impressing suitably enough to earn the cash. The move into Asia comes three months after the site rolled into Canada and the UK, and the trio of new markets has been carefully selected by the startup, which landed $3 million in funding from Australia’s Starfish Ventures one year ago. The firm boosted its presence in the U.S. last year when it acquired financially crocked Brandstack in December 2011. The launch sees the company introduce three local websites — Designcrowd.co.in, Designcrowd.com.ph, Designcrowd.com.sg — and DesignCrowd will step up its presence in each country with local marketing campaigns and national support hotlines. The third prong sees the creation of a customer support team for the region that will be based out of the Philippines. Companies and designers that use the site can choose to go local or worldwide. For each of the countries, designers and companies soliciting designers, can choose to scour the national pool of talent — via the country specific websites — or dip into the international site, which features designers and companies from the US, Canada, UK, Australia and beyond. Co-founder and CEO Alec Lynch told TNW that already, with no marketing effort, the company has found significant uptake across Asia, and the three countries in particular. Indeed, Lynch says that there are already 10,000 members signed-up from India — where designers have earned $10,000 per month via crowdsourcing — and he believes that Asia as a whole has more than 1 million professional designers, that’s a market he is understandably keen to grab a share of. More than just helping Asian designers find work, Lynch told TNW that the growth in companies and startup communities in Asia — and India in particular — combined with DesignCrowd’s launch represents a potential windfall for designers in North America, Europe and Australia, as it will provide them with more opportunities for work. “Asia has been a good place to crowdsource design work from [and now] we’re seeing small businesses from India and Singapore crowdsourcing ideas from Australian and U.S. designers. Asia is DesignCrowd’s fastest growing region and the opportunity for further growth is huge – India alone has 26 million small and micro businesses,” the company co-founder is quoted as saying in the official press announcement. Initially DesignCrowd will begin with India, the Philippines and Singapore and that’s due to the impact that the service has already made in each market and — a factor that is inextricably linked to that point — the high-level of English spoken in each country. Lynch believes that 80 percent of the cumulative population speaks English and, in a continent where most languages are not Romanic let alone English, that removes a significant barrier of access. Lynch believes that India, the Philippines and Singapore are “the ideal first step” , but he is keen to see DesignCrowd expand further into Asia. “If other markets perform as well as we think they will, then we will invest and launch in other countries in Asia,” he explains. That expansion is not likely to feature China any time soon, however, thanks to combination of issues which, in addition to language, includes the advanced state of the industry there. Crowdsourcing is already mainstream in the country and — thanks in no small part to the growth of Sina Weibo, which has 368 million registered accounts, and social sharing — the local market is dominated by sites like Zhubajie, which boasts 7 million registered members. That doesn’t leave a lot of room for outsiders looking in. 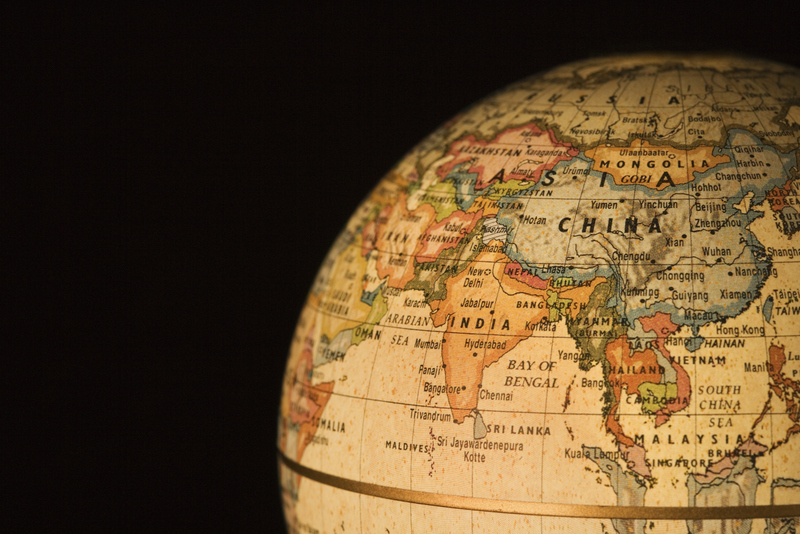 More immediately, after pushing the button in Asia, DesignCrowd is looking to grow in other parts of the world. Lynch says he is assessing the possibilities on offer in Latin America — where the company already has an El Salavador-based support team — and he revealed that the company will make a “marketing-related” hire in the US, as it looks to increase its visibility and share of market there. But, for now, he is happy to be entering Asia before DesignCrowd’s rivals, such as 99Designs which recently told Tech In Asia of its desire to move into the continent, having already made an acquisition in Europe. Interestingly, half of DesignCrowd’s top 20 designers come from Asia, and Singapore is its largest source of sales in the region. If you’re a designer based in India, Singapore or the Philippines, you can find out more by checking out the local link below.